Focussing on chronic kidney diseases and aging, let us all join our hands to spread awareness about the kidney ailments that can start at any age but only go to increase with time. Let us take steps at an early age and combat this silent killer. Can Gamification improve disease management? Medicines don’t work if people don’t take them! And yet, medicines are neglected the most. Attitudes are contagious! With an estimated 50% non-adherence in chronic conditions, segmenting patients based on their attitudes is critical to evolving adherence models. Brandcare studies behaviors and attitudes of diabetics in India. Your Heart will Love you More This world Heart Day series focuses on the message of Heart health should be at the heart of your health watch. Here are simple ways to share with people how to make it a part of their everyday life. Order your free posters or coaster set artwork today. Where did the ‘care’ go in healthcare? The Indian Family Physician on his way to extinction? 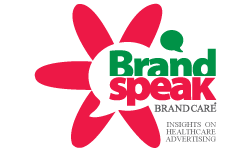 In an effort to understand how commonly used promotional tools influence primary and specialty practice, Brandcare conducted a study. Come read more to know how your marketing buck is working for you. Over the past 65 years, several influencing factors have brought about a change in the in-clinic behaviour of the Great Indian General Practitioner. Brandcare captures how age influences physicians’ in-clinic behaviour. We at Brandcare believe that making patients aware about health issues is paramount to improving disease outcomes. This world kidney day,you can create awareness, powered by posters created by us. Write back to us for a free poster of your choice.